Styled with '90s cozumel bodysuit . Casual without being too casual. 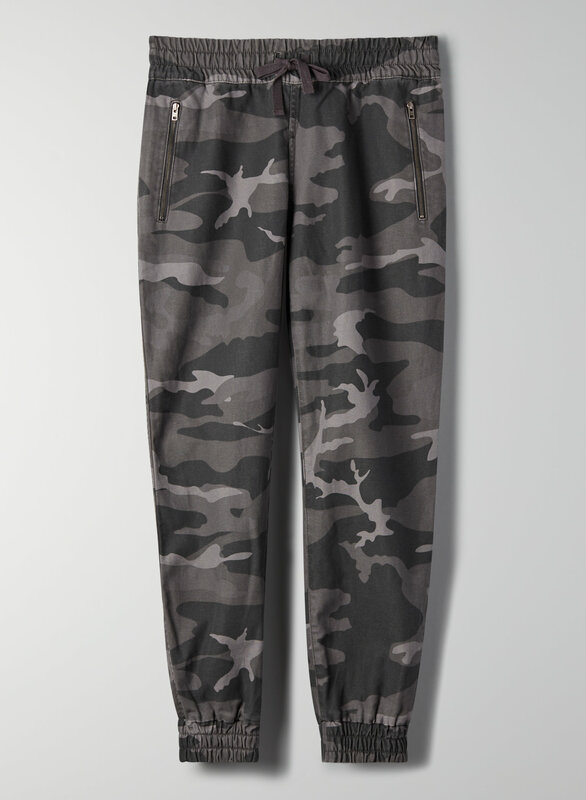 These joggers are made with soft, 100% cotton twill. Love the colour Grape Leaf. The fit of the medium in Grape Leaf is bigger than the camouflage. Strange but I preferred the Grape Leaf colour. Could’ve ordered a size down, pretty baggy on me although I have a thinner frame. I ordered a size small and they still fit good and are so comfy! Also came very quickly in the mail! 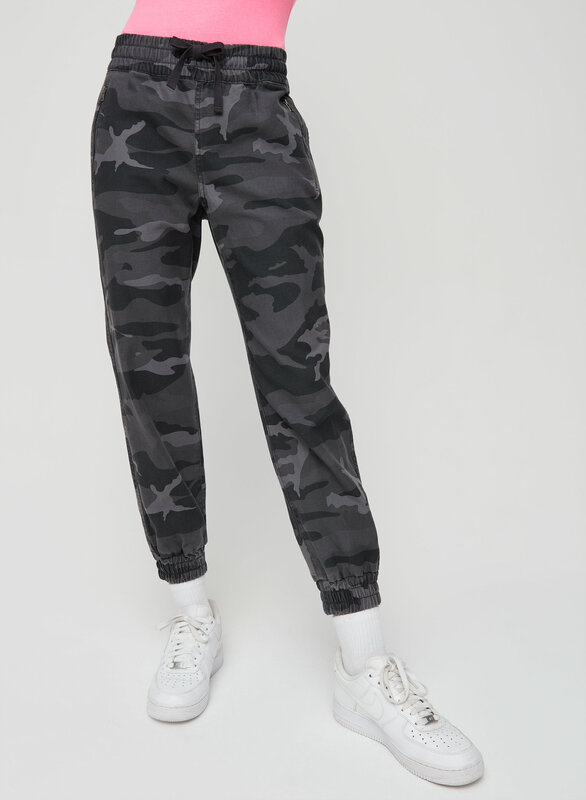 Ordered the pants online having never tried them on before. I was pleasantly surprised. Great quality and fit. It has been a struggle to restrain from buying them in every colour! They are the best! Have them in 3 colours. Seasonless and always my go to! Love the pants. Got them in the camo pattern first in size small. Fit perfect. Ordered them in alligator and the same size small was quite a bit smaller. Disappointed but kept them. Hopefully they don’t shrink. I really like these pants. They're a bit more baggy than I expected, but are super comfy. Received lots of compliments on them. Can dress them or dress them down. These pants are so comfortable. Wear them cropped or pulled down.